America's central bank has raised interest rates four times in the past two years. And one Federal Reserve leader says the job is only halfway done. 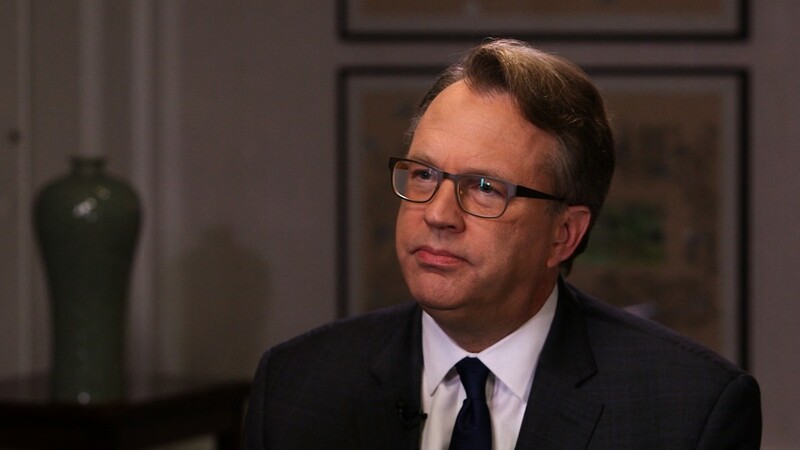 "We do need to see some more rate increases over the next couple years to get us to this normal level," San Francisco Fed President John Williams, who serves on the powerful committee that sets rates, told CNNMoney's Richard Quest in New York. "We're probably about half the way there in terms of raising short-term interest rates." After the financial crisis, the Fed kept its key interest rate near zero for years to prop up the economy. It raised rates once in 2015, and then at a faster pace -- three times since last December. Interest rate policy affects tens of millions. Higher rates make mortgages, credit card debt and auto loans more expensive. They also mean savers can earn more. Right now, the Fed's key interest rate hovers around 1.25%. Williams said 2.5% would be normal. That would still be lower than historic levels: Before the Great Recession, it was above 5%. In 2000, when the economy was strong, it was above 6%. Now Williams and other officials say the economy doesn't need as much of the Fed's medicine. Unemployment is low, job growth is strong, and economic growth is steady, albeit slow. Williams calls it the "Goldilocks economy." "The economy is doing well -- we're adding a lot of jobs and unemployment is low and falling," Williams told Quest on Tuesday. "We've got a lot of momentum." The unemployment rate has fallen from 10% just after the Great Recession all the way to 4.3% in July. Williams expects it to go as low as 4%, a level not seen since 2000, during the dot-com bubble. As president of the San Francisco Fed, Williams oversees the economy of Silicon Valley, and he's optimistic about it. "Things are booming in the Bay Area," he said. "It's really a red hot economy out West." But he's not convinced there will be another tech bust. He believes tech companies can weather a downturn much better than they did in 2000. "I think it is fundamentally different," he argued. "I don't see any obvious signs that things have gone kind of crazy." As for policies coming from President Trump and Congress, Williams doesn't doesn't see those having a major impact on the economy in the years to come -- or on how the Fed handles interest rates. "My own expectation is that fiscal policy isn't going to fundamentally shift the direction of the U.S. economy over the next couple of years," Williams said.